Lake Titicaca is the largest lake in South America and the highest navigable lake in the world. It’s large enough to contain both natural islands, farmed in the same way for centuries, as well as artificial ones. Titicaca has an elevation of more than 12,500 feet above sea level, an altitude so high visitors can at first find it difficult to catch their breath. On the border between Peru and Bolivia, the lake lies high in the Andes Mountains, providing incredible panoramic views of snow-clad mountains by day and superb opportunities for star gazing at night because of the thin atmosphere and lack of light pollution. But Lake Titicaca gets its status as a visually-stunning location due to the very humble totora reeds that grow in the lake’s shallows. Not only do these reeds provide nesting opportunities for a variety of bird species, including the flightless Titicaca grebe, but they have also been integral to human habitation of the area. Inca ruins can be found on many of the lake’s natural islands, reached by reed boats found nowhere else. However the Uru people went one further, and created whole islands from the reeds. Initially constructed in pre-Colombian times to protect the Uru from attack, the largest of these islands are just half the size of a football field. They contain at least one reed-built structure housing an extended family, while some also incorporated watchtowers constructed from the reeds. Traditionally, they would be found far out in the center of the lake, up to ten miles from shore, but are often now much closer to the shallows. Sixty or so remain, housing 1200 Uru people who hunt and fish in a traditional way as well as making textiles for visitors. So important are textiles to the region that another tribe, the Taquile, have been awarded intangible heritage status by UNESCO for them. Local wool is formed into yarn by the women of the community and then knitted into textiles solely by its men. The world of art is an amusing one. It is full of contradictions and surprising turns. While the audience is no longer shocked or astonished by a sight of naked body or extreme violence, it turns out that the modern viewer is very disturbed by a huge yellow rubber duck. Sounds wierd, but that’s the reaction to the worldwide tour of Florentijn Hofman’s trademark work. 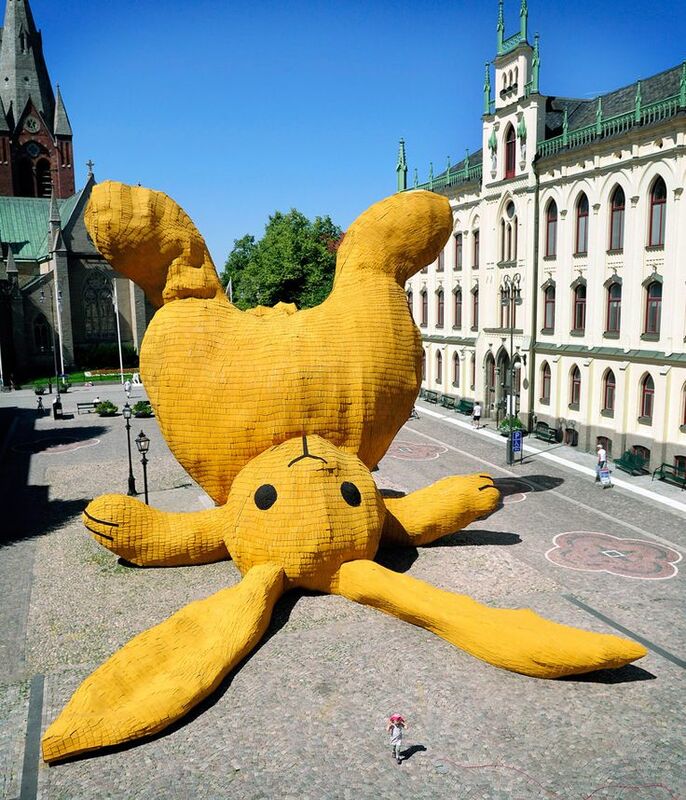 This Dutch artists focuses on the public art and huge installations embodying animal characters. 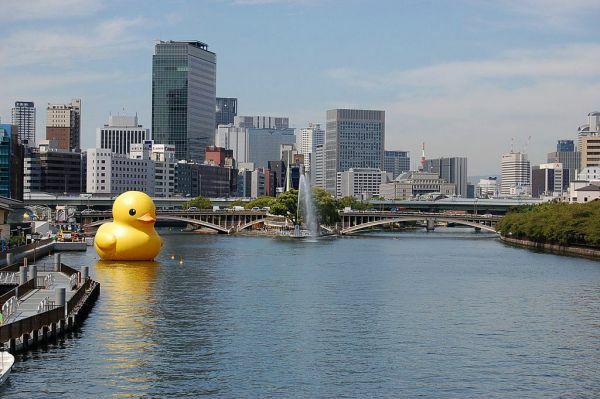 Giant rabbits, pigeons, dogs, teddy bears, and,of course, the Duck appeared in many locations around the world. Immense installations evoke a stir of emotions, ranging from admiration and excitement to frustration and destroying intents. During Duck’s stay in Belgium, it came under knife-attack and was stubbed 42 times. It has been criticized for demolishing the environment around the work, which goes against the principles of public art, as it suppose to underline and define the surroundings, existing in a harmony with the public space. On the other side, the Rubber Duck is a universal symbol, that is familiar to almost anybody in any culture of the world. Hofman himself states that the Duck is a symbol for peace and tolerance with no boundaries. 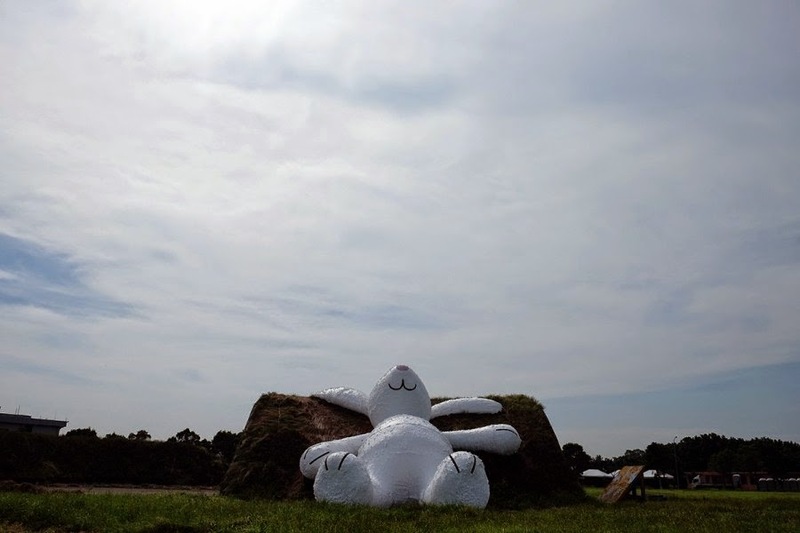 While the audience seems to embrace this concept, many people felt that the whimsical installation turned into a commercial entertainment event, including the author of the art work. It is hard to say whether the issue is relevant and who’s fault it is; the idea of a benign character uniting the world with a humorous note and a great deal of flamboyance (literally) is worthy of respect. Negative comments have some validity, but also revel that people are very dependent on the “normality” of their surroundings and become stressed when something unusual intervenes their comfort zone. While Rubber Duck is a universally recognizable phenomenon, Hofman produce works that are much more local. 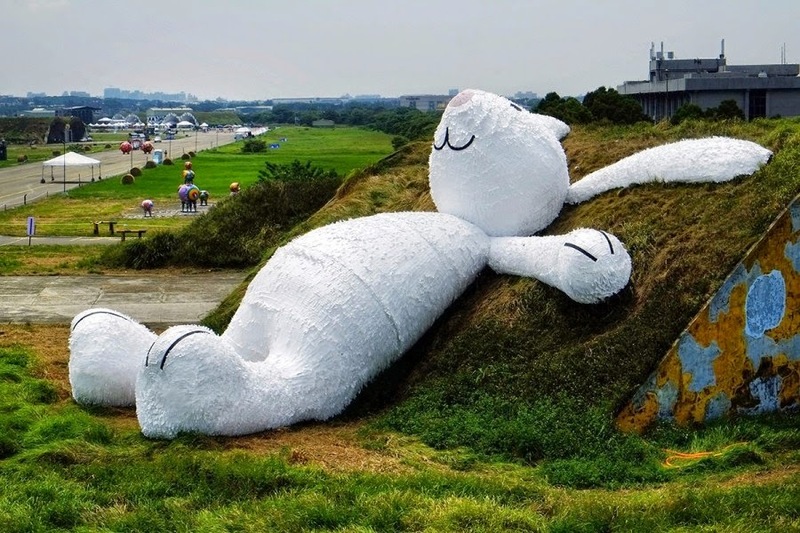 For instance, his project ‘Moon Rabbit” is situated in Dayuan Town Naval Base in Taiwan and based on the Asian folkloric story about the bunny that lives on the moon. Somewhat dreamy and adorable installation contrasts the military background, starring at the moon and attracting a lot of visitors. Such methods of contradicting the environment are simple, yet effective tool in the identification of urban and public space. Incorporating more local topics into his art, Hofman is able to create something site-specific; at the same time the cartoonish animals are relatable to many, thus making Hofman’s art works speak with a globally recognizable language. Isn’t it a modernist’s dream?